The news that Phish would be returning to the road this upcoming March with a tour to follow starting in June, was greeted by fans of the band with a collective euphoria that seemed almost Obama-esque. While the group dubbed “the most important band of the ‘90s” by Rolling Stone has technically been broken up since their “farewell” at the Coventry Festival in 2004, that has not stopped the quartet from performing together in nearly every possible configuration during the past few years, including their first “public” performance since the breakup at their tour manager’s wedding in New York late last year. Following their acceptance of a Lifetime Achievement prize at the 2008 Jammys, it seemed to be only a matter of time before the group would be heading out again. And sure enough, soon word leaked out that after all the false rumors and denials from the band, that Trey, Mike, Page, and Fish would be coming back in 2009. And now, as the eyes of the Phish nation turn towards Hampton, VA for the three reunion shows (Ed. : Who’s got my ticket? ), while a fairly large corner of the Internet is dedicated to cataloguing and debating the jam band’s live output, it is worth examining an aspect of their career that remains often overlooked — the studio albums. “The White Tape” and “The Man Who Stepped Into Yesterday” were both recorded in the band’s primal stages during the mid-‘80s. The White Tape features songs that would become staples of the band’s live shows, such as “Run Like An Antelope,” “Slave To The Traffic Light,” and “AC/DC Bag,” while “TMWSIY” (which was also guitarist Trey Anastasio’s senior thesis from Goddard College) was the group’s first concept album. “TMWSIY” is the rather surreal story of brave Colonel Forbin, who travels the land of Gamehendge as he battles the evil wizard Wilson to recover the Helping Friendly Book which will release the Lizards who were tricked by Wilson and are now his slaves. That being said, the story, while interesting, takes a back seat to the music. “TMWSIY” has contributed a fair number of songs to the band’s live repertoire, including “Wilson,” “The Lizards,” “Tela,” and “Colonel Forbin’s Ascent.” The Gamehendge cycle itself includes several other songs the band recorded later, such as “McGrupp and the Watchful Hosemasters,” “Punch You In The Eye,” “Icculus” and “Harpua.” The White Tape was extensively bootlegged for years, and is now available from phish.com. “The Man Who Stepped Into Yesterday” has never been given an official release, but is widely available on tape trading websites. Junta was the first proper studio release from the band. It features a number of longer tunes, which showcased not only the musical chops of the respective band members, but also the songwriting abilities of Anastasio. “You Enjoy Myself,” “Ester,” “The Divided Sky,” “David Bowie,” and “Fluff’s Travels” are all at least nine minutes long. With that amount of time, the tunes stretch and weave with the complexity of a classical music suite, but with a sense of playfulness imbibed by the band. Even shorter songs such as “Foam” and “Golgi Apparatus” have seen extensive onstage treatment. Trey has remarked that “’Junta’ is the closest thing that you’ll hear to us feeling no pressure.” To this day, “Junta” is the only Phish studio album to go platinum. “Lawn Boy” saw Phish take their musical development even further by adding a horn section on “Split Open And Melt,” and incorporating barbershop quartet harmonizing on “My Sweet One.” However, the tight, energetic jamming on display in tunes like “Reba” and a newly recorded “Run Like An Antelope” would be a hallmark of the band’s early period. “The Oh Kee Pah Ceremony” was named for the jam sessions the band would regularly have that would last for hours as they worked tirelessly to refine and rehearse their songs as they were about to start touring more extensively than they had before. “Lawn Boy” was also their first album with Elektra, the label Phish would record for until their second hiatus. On the strength of tunes like “Chalkdust Torture,” “Stash,” “Cavern,” ”Tweezer,” and “Guelah Papyrus,” which Phish had been playing live since the early ‘90s, Phish released “A Picture Of Nectar” in 1992. Later that year, the band, along with Blues Traveler, the Spin Doctors, the Samples, the Aquarium Rescue Unit, the Samples and Widespread Panic hit the road for the H.O.R.D.E. tour, where these bands would be playing to the largest crowds of their careers so far. “Chalkdust Torture” was the first single from for any album from the band, however, it failed to chart. “Rift” continued to showcase tunes Phish had been road-testing for some time. 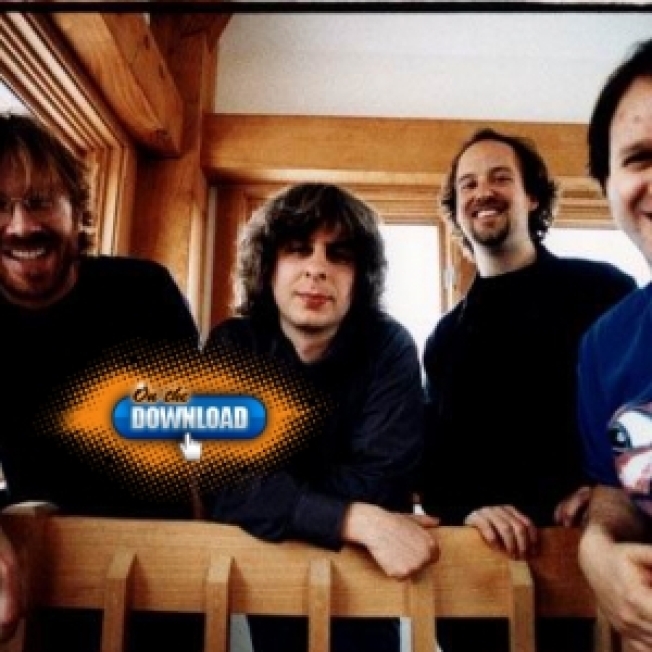 “Maze,” “Horn,” “Sparkle,” and “It’s Ice” had all been played extensively on tour, and the studio versions of these songs illustrate the growing comfort the band was finding in the recording realm, as well as the continuing collaboration between Anastasio and longtime Phish lyricist Tom Marshall. Ostensibly a concept album, “Rift” was not as well received by the critics as some of the earlier records, but the “phans” (sorry) did not seem to mind. “Hoist” was the biggest-selling record of the band’s career up to this point, and the album’s single, “Down With Disease,” reached #33 on the charts. “Down With Disease” was also the first (and only) music video Phish ever made. Featuring fan favorites such as “Wolfman’s Brother,” and “Sample In A Jar,” Phish was criss-crossing the country, playing sold-out shows to an increasingly growing fanbase. Moving from the more structured compositions that marked their earlier work, these songs (as is true of most of Phish’s work) were looser and had the benefit of being played live for at least a year before they were brought into the studio. The Mike Gordon-penned “Scent of a Mule” sticks out not only for the bluegrass infusion to the band’s sound, but also since it had not been performed live before Hoist was released. While 1995 is usually regarded as the live creative pinnacle for Phish, since they were out touring so much, that year they released “A Live One,” a compilation of live performances of songs from the previous year. The album went platinum, and for those looking for a good jumping on point for Phish, it serves as an excellent primer for the band’s music. Check back Sunday for the second half of this feature, where we’ll find the band releasing their biggest hits – and playing a seven-and-a-half-hour show.